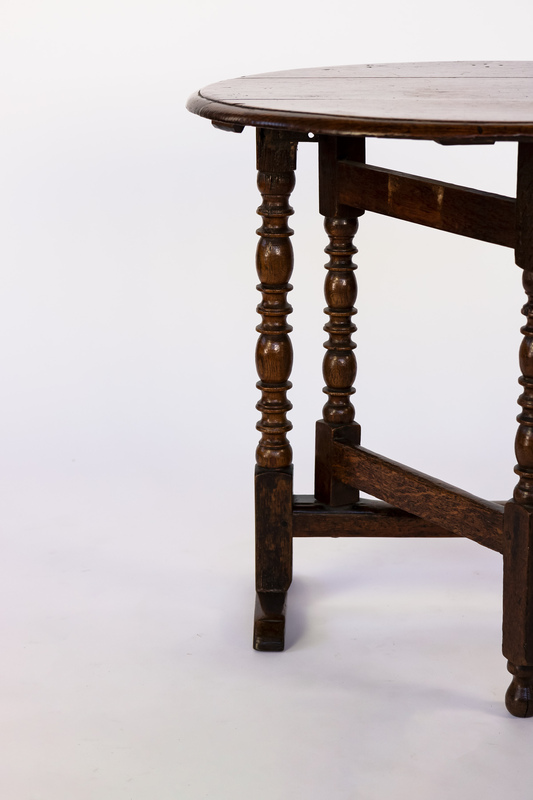 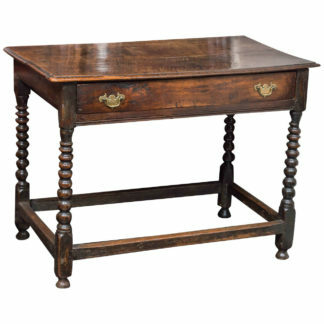 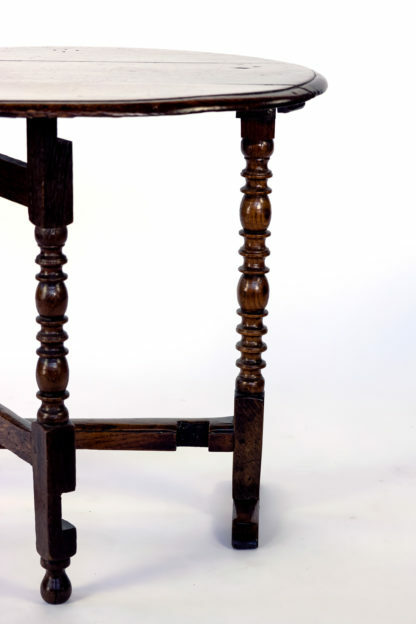 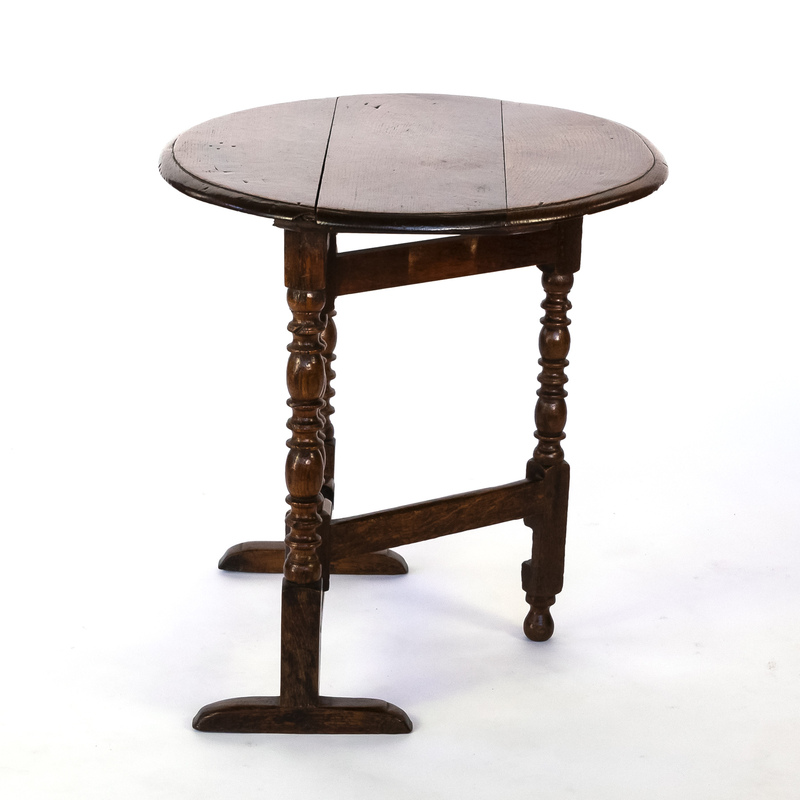 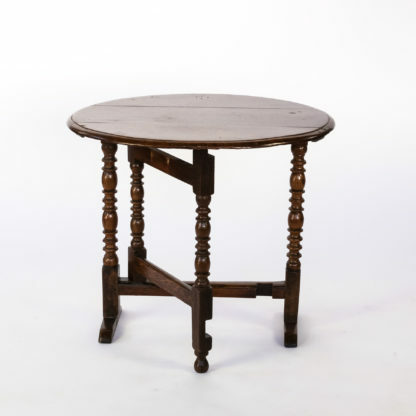 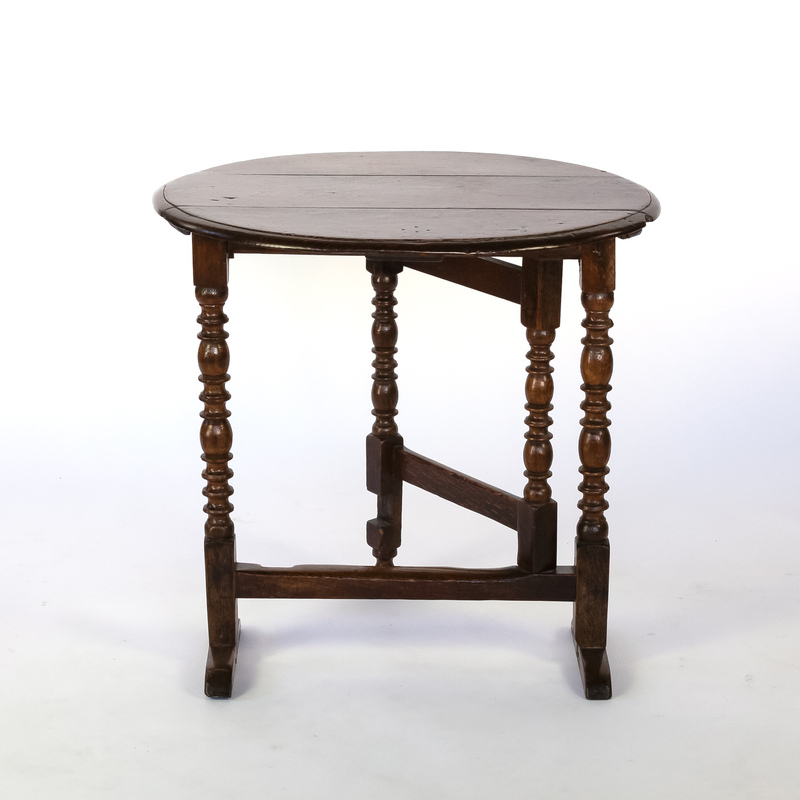 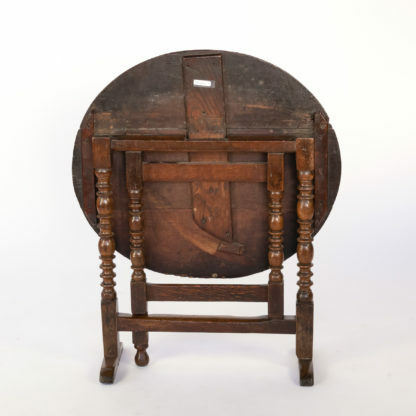 Home / Tables / Gateleg Tables / Handsome Very Early English Oak Coaching Table With Bobbin Turned Oak Legs, England Circa 1690. 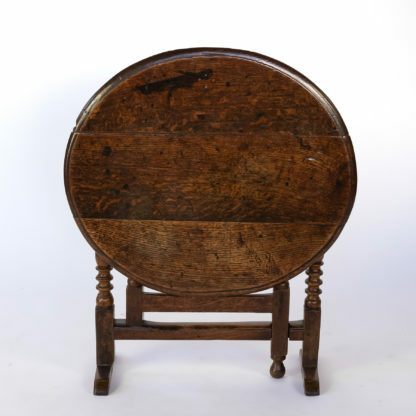 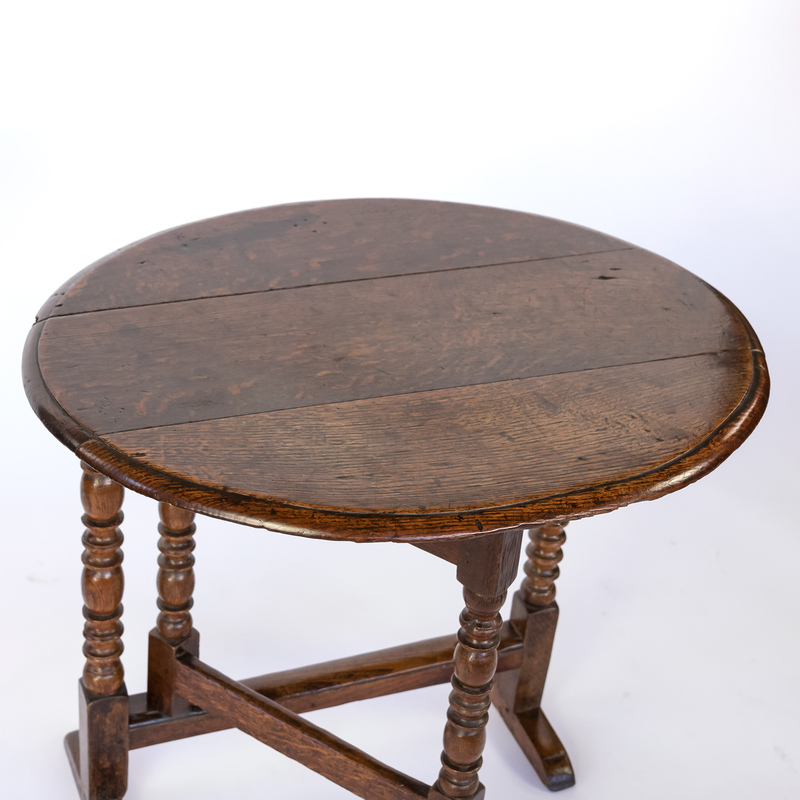 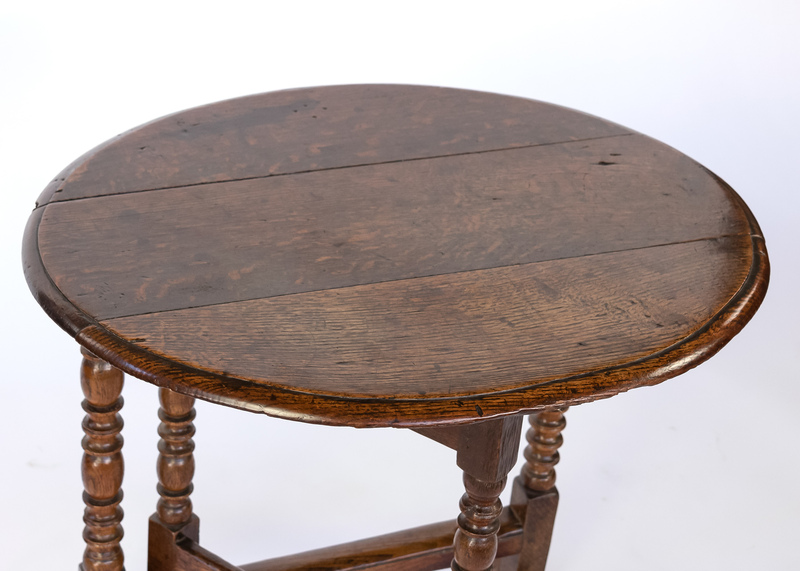 Handsome very early English oak coaching table with bobbin turned oak legs, oval top with ogee edge and exceptional patina. 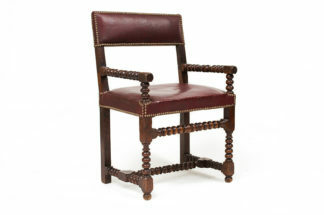 1 , England circa 1690.
height: 26 in. 66 cm., width: 28 in. 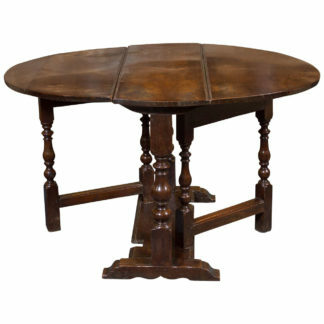 71 cm., depth: 25 in. 63.5 cm.